SOMETIMES life really does give us lemons. However, there's one big difference between those who survive setbacks and those who go under from even the most appalling setback. There are lessons in their experience, and attitude, for us all. How would we react to a motorbike accident that robbed you of all physical movement; a genetic disease that put you at death's door; an illness such as chronic fatigue syndrome that took away your ability to work or even function at a normal level? 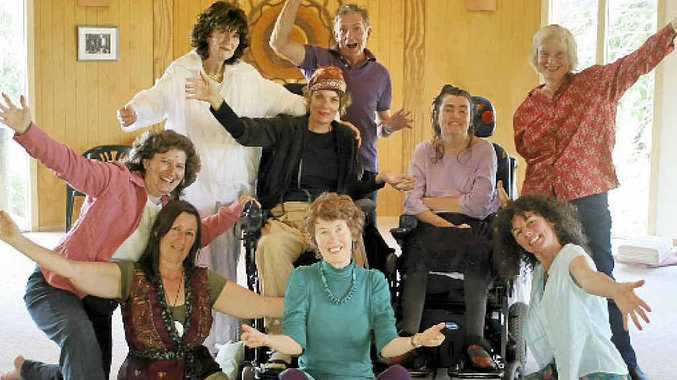 In Reclaiming Joy - Living Well With Chronic Illness, Possum Creek resident Ruth Winton-Brown and her "Living Well Group" write about just some of these experiences. She says the group of local women and men meets regularly to share their struggles and joys as well as their secrets to feeling well. Among them is Jana Krins, 56, who was diagnosed with chronic fatigue syndrome in 1995. Today she says she is fairly well, but back then she battled with her body, trying to work and keep going as usual. "I saw doctors, dentists, alternative practitioners, counsellors and specialists until poverty joined my stalkers," she says. "I read positive motivational material, believing that my illness was a condition of the mind and that I could change if only I had the right attitude." After she started listening to her body, she stopped pushing herself so hard. "I believe chronic fatigue is a physical virus that attacked my neural systems at a time when I was vulnerable, stressed and depressed." She now facilitates workshops in compassionate communication, attends salsa classes, sings in a choir and spends time with her two children and two grandchildren. "I have learnt that I really need to watch what I do and keep stress in my life to a minimum," she says. "I do believe that self-connection is essential to finding peace and happiness." Chris Healey, 60, suffered serious bouts of hepatitis in his teenage years because of a liver disease that had been in his family for generations. As a result he relied on a "lightweight vegetarian diet and became proficient in the profession of acupuncture and herbal medicines". But when he turned 50 his body started to swell around his liver and he could hardly catch his breath. He was in a coma three times, the last time for four weeks, with encephalitis. It was at that stage he had to go against his reluctance to have a liver transplant and accept that was what he needed to live. "At first I thought I would prefer to die than have someone else's body part," he explains. "For the first five years I struggled with post traumatic stress and depression. But then I turned a corner and picked up." Chris recently won three gold medals at the Transplant Olympic Games in Perth. "I run for my life," is how he describes it. He is also pursuing his love of writing with a degree at Southern Cross University, although he says his illness has impacted on his memory. Cath Carter became a quadriplegic at 20 after a motorbike accident. Today, she is in her 40s and says: "I am blessed. I often love my life." She says the support she gets from friends, family and carers helps her overcome her challenges. "I also practise empathy for other peoples' difficulties and I laugh about it (her problems)." One of the things that has given depth and wealth to her life, says Cath, is her 10-year-old daughter, Cinta. But she also loves "people, coffee, the ocean, nature and my bed" and her current goals include moving to Adelaide to be closer to family, growing a nice garden and building a house by the sea. "I'd quite like a coffee in Paris too," she says. The thing people don't understand about living with a permanent physical handicap is that it makes you more vulnerable, says Cath. "But this provides opportunities to relate in a more intimate way." Ruth, who co-wrote the book with Laura Jan Shore, says it contains true stories about how the people in it were transformed by terrible adversity. It came about through her own struggle with rheumatoid arthritis and depression. 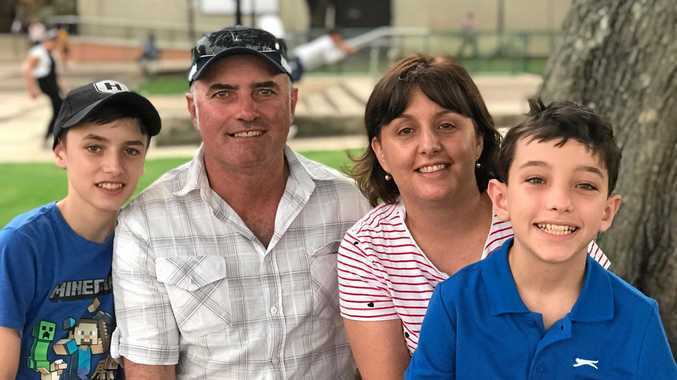 "My path of recovery took me to visit Ian Gawler in Victoria, Petrea King in NSW and Gerry Jampolsky and The Centre for Attitudinal Healing in California," she says. "These people were my inspirations. "I created a series of workshops where people could share their struggles and joy." Reclaiming Joy - Living Well With Chronic Illness will be launched on November 25 at the Yogalates studio in Byron St, Bangalow.